“Let’s do it, Romania!” already a tradition for GRS! Global Remote Services participated Saturday, September 25, at the biggest social involvement project from the country called “Let’s do it, Romania!”. The global project, called ”Let’s Do It, World!” is an initiative started initially in Estonia, a so-called National Cleaning Day designed with the purpose of cleaning up the entire country in one single day. The organizing NGO estimated that this year they had over 135.000 volunteers, who collected over 168.000 bags of recyclable waste. This is the third year when GRS decides to join the project through its employees. 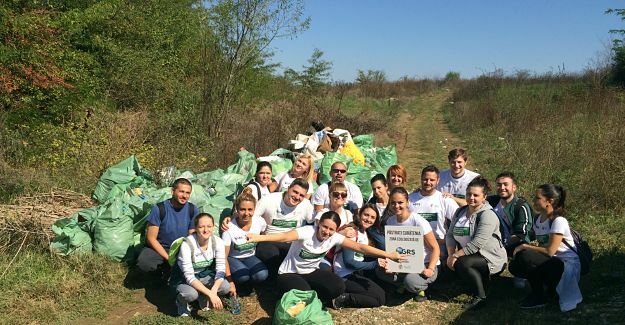 Our volunteers cleaned an open field close to Piteasca, near Bucharest, where they teamed with volunteers from Radisson Blu and Bergenbier, and collected almost 100 bags of waste. GRS will continue to get involved in such admirable projects if opportunity arises. Many thanks to the organizers and to our hard working volunteers!